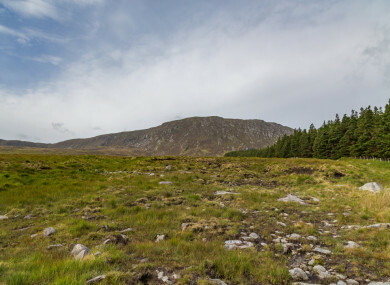 THE DEPARTMENT OF CULTURE, Heritage and the Gaeltacht has revealed that ancient human remains, which were discovered by a local hillwalker on a Mayo mountainside in 2016, date back as early as 3,600 BC. The research found that the natural boulder chamber in which the remains were found was used for human burial practice through the Neolithic period. A least 10 individuals – adults, teenagers and children – were placed in the chamber over a period of up to 1,200 years, according to the research. One of the adult bones dated to 3,600 BC, while a bone of a child skeleton dated to 2,400 BC. In August 2016, local hillwalker Michael Chambers discovered a cave-like chamber among some large boulders on Ben Gorm Mountain in Newport, Mayo. He found human bones scattered over the rock floor of the chamber and contacted gardaí in order to have them tested. Once it had been determined that the remains were ancient, the National Monuments Service of the department, in consultation with the National Museum of Ireland, commissioned a rescue excavation, carried out by Dr Marion Dowd of IT Sligo. The research has suggested that bodies were brought into the cave chamber and laid out in a pit. At some later stage, the skulls might have been deliberately broken as part of a complex burial ritual and the larger bones removed. “Large pieces of quartz had been placed in and around the bones. When the radiocarbon dates came through it was very exciting. Not only were the bones Neolithic, but the dates showed the site had been used for over 1,000 years,” Dowd said. Dowd said that it was not a burial site as such, but a ritual place where bodies were placed to decompose. “Only a very small proportion of each skeleton was found, with the majority of bones apparently deliberately removed. This discovery indicates highly complex processing of the dead,” she said. Minister for Culture, Heritage and the Gaeltacht Josepha Madigan praised the local hillwalker for reporting his find. “This is a fascinating archaeological discovery and I want to thank the community of hillwalkers for reporting it to us. Such vigilance is extremely important to us in helping to protect and understand our archaeological heritage,” Madigan said. Email “Ancient human remains found in Mayo date back over 5,000 years”. Feedback on “Ancient human remains found in Mayo date back over 5,000 years”.